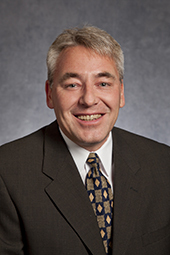 Tom Stueve joined the Company in March 2008 as Director, Corporate Tax and was named Treasurer & Senior Director, Global Tax and Treasury in August 2014. Prior to joining Tennant, he worked for 13 years at Diageo North America, Inc., a subsidiary of Diageo Plc, in a variety of senior tax positions, most recently as Vice President Tax, North America. While at Diageo, he was involved in notable transactions such as the sale of The Pillsbury Company ($11 billion), sale of Burger King Corporation ($2 billion) and acquisition of Seagrams ($5 billion). Prior to Diageo, he worked for six years at Deloitte in a variety of tax positions.